Our compact, swivelling 2nd stage leads the way in comfort and reduced jaw fatigue. Internal bypass-venturi system for easy breathing. New non-stick, anti-bacterial (Zeomic) plating on internal 1st and 2nd stage parts offers unrivalled protection against corrosion and bacterial formation. B.A.S. means Bio Air System. Apollo use a high performance internal bypass venturi system in the 2nd stage. 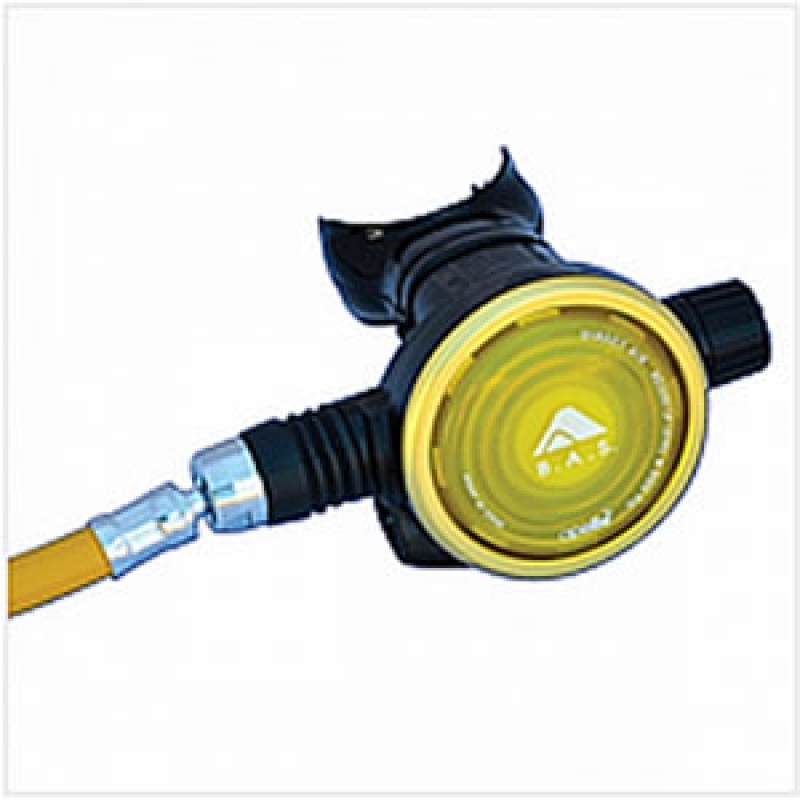 The Apollo high quality hose has ball shaped joint that allows the 2nd stage 39°movement to each side.